This bracelet can be perfect for you if you love earthtone colors. 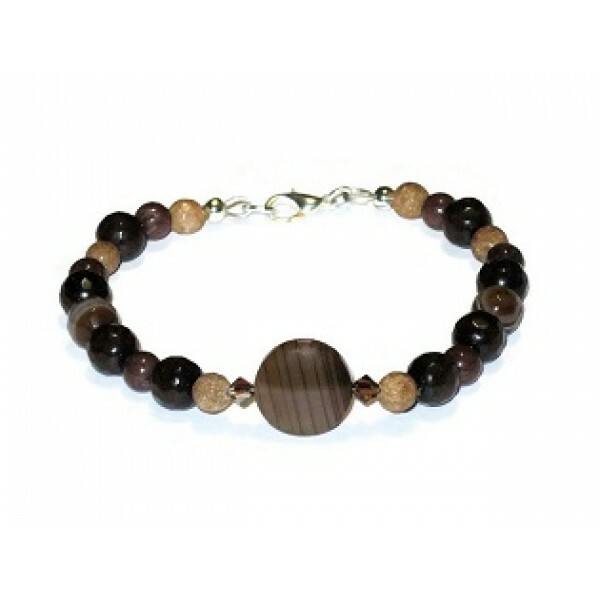 It features a striped agate bead in the center which is accented with Swarovski crystals, faceted and smooth jade and agate beads. It has a silver-plated lobster clasp, and measures 7 1/2 inches. Highlight your outfits with this expandable brown choker. It features a faceted smoky quartz.. The expandable choker features a faceted botswana agate stone in the center that is complemented wit.. Think of all the outfits in your wardrobe these earthtone earrings can go with. They consist of Swar.. These earrings can make a good addition to your neutral colored jewelry collection. They fea..